McLaren Ultimate Series - Tier 1 + VIP On-Site Service. Includes full on-site installation, advanced on-site training and 1 year of on-site technical support. Featuring a genuine McLaren wheel rim and bucket carbon racing seat, combined with our McLaren specific simulator frame and featuring 4 actuator 6 inch D-BOX motion technology with 4 point intelligent Tactile Feedback, professional direct drive force feedback system, on-board fully integrated 5 speaker audio system with low profile subwoofer, fully integrated on-board computer, custom dashboard, hydraulic pedals, triple curved 55 inch visuals and full Plug and Play factory assembly. 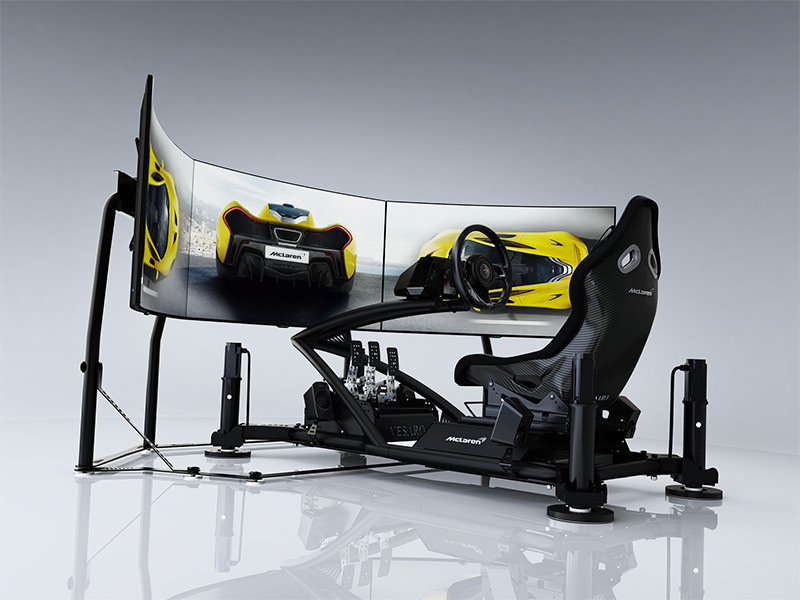 The McLaren Ultimate Series simulators embody the engineering and design of the McLaren Ultimate Series vehicle range, bringing subtle design elements and authentic components from the cars into an existing award winning world class simulator system. This combination of leading simulation technology and McLaren's pioneering design and engineering have resulted in a unique collaboration and a world first for the simulation industry. The simulator uses authentic components taken directly from the McLaren vehicles themselves, ensuring the highest quality and most authentic McLaren experience possible. 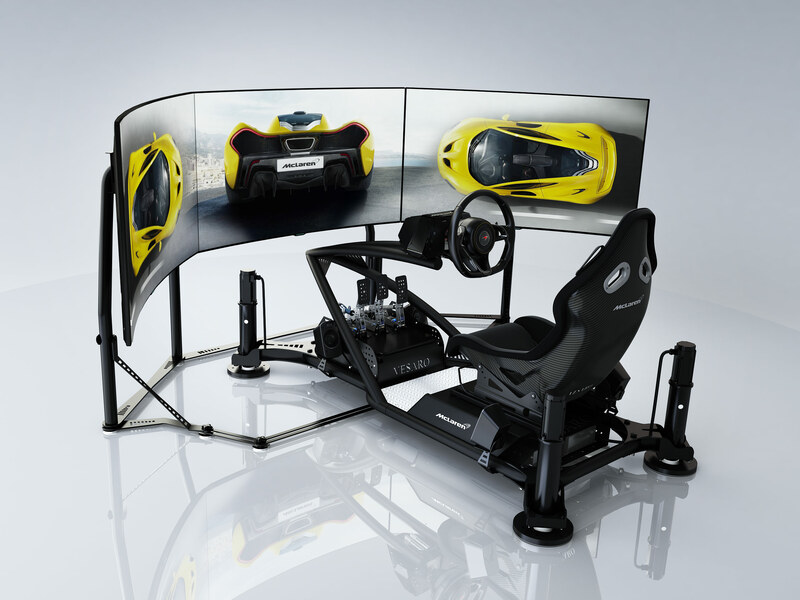 One of these key components is the steering wheel; a genuine McLaren production wheel which incorporates the same paddle shifters found in the road car, replicating the paddle shift gear-change feeling and solidifying the link between simulator and car.